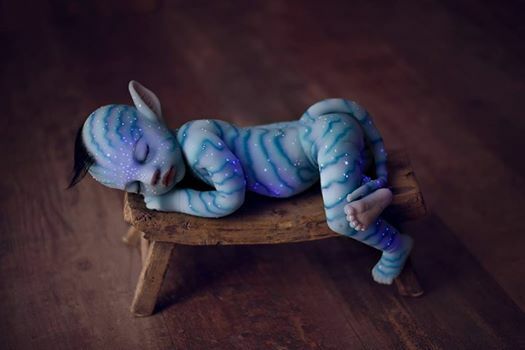 These silicone Avatar Babies have swept the web because they're so cute ,awesome and creepy. 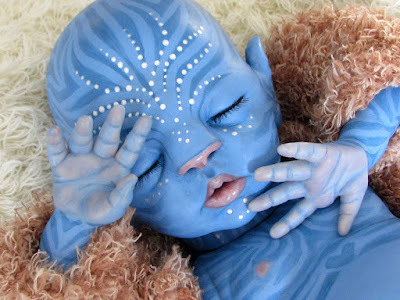 These are the realistic avatar babies, all painted in the distinctive blue hue of the humanoid species. They are made by Spain-based realistic baby maker Babyclon.